After serving in the U.S. Navy as a much younger man, Roosevelt had fallen on hard times later in life and was nearing retirement age with no job, no savings and no hope. Following a drug arrest, Roosevelt found himself living at a homeless shelter for veterans. While enrolled in rehabilitation services, Roosevelt's case manager suggested he apply online for job opportunities with Goodwill TalentBridge. 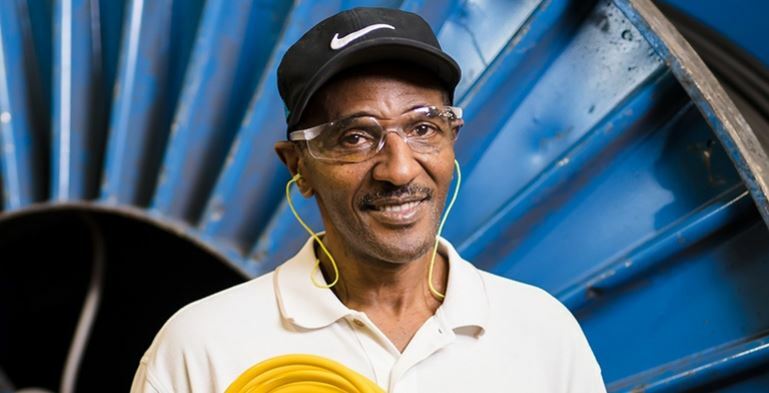 TalentBridge, Goodwill's staffing and recruitment service, placed Roosevelt at Southwire, North America’s leading wire and cable company, where he builds and assembles cord sets. At Goodwill, we know that jobs can change lives, and Roosevelt is an example of that. He rides his bike to work every day and enjoys working hard alongside his coworkers. Within a few months of proving himself on the job, Southwire saw something special in Roosevelt and hired him directly. Roosevelt enjoys working safely in the fast-paced work environment and volunteers to work extra shifts when needed. Since finding a sense of purpose and direction in life, Roosevelt has been able to move into his own apartment, start saving for his future and advance in his job.